I’ve been struggling with writing lately- I often find myself rehashing the same topics over and over in my head, but then I try to get them down in a post and nothing new or meaningful comes out. I’ve also been occupying my kid-free time with other things- ordering pictures to (finally) hang on the walls that had been bare since we moved in in January, watching movies with my husband (I am NOT a sit and watch a movie person, but he is, so I’ve been trying to indulge him), and well, to be honest, playing Candy Crush or sleeping. Ah, the lazy days of summer (or SO WHAT WEDNESDAY), right? I’m going to BlogHer next month! My friend and I wanted to take a trip this summer anyway, and when we found out Kerry Washington is the keynote speaker, there wasn’t much hesitation and we bought tickets. I may or may not be a little obsessed with Olivia Pope. I’m also beside myself with excitement to get to finally meet and hang out with one of my best blogging friends, see San Francisco for the first time, and just get away for a few days. Will anyone else be there? I’d love to meet up! While I’m in California, Ryan will obviously have the kids. This post by Josey is great, and has wonderful advice on letting our husbands take charge with the kids. I’ve been trying to be more hands off this summer with Ryan on summer vacation, and it’s been fun to listen and watch him parent from a distance. Please say a prayer tonight for our friend Jagger. 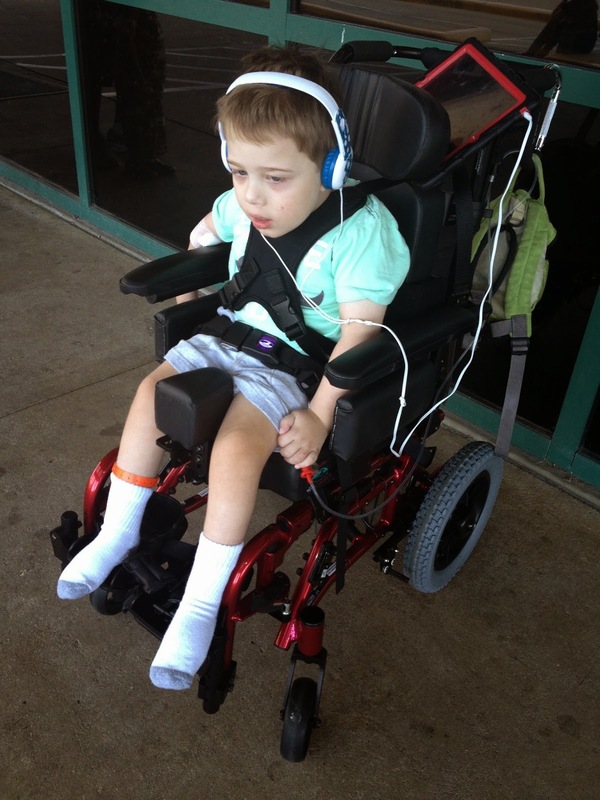 Jagger is very close in age to Grayson (I believe he’s just a few months older than G) and also has Leigh Syndrome. I had the privilege of meeting Jagger’s dad a few weeks ago at the UMDF symposium. Jagger is not doing well- he’s having a lot of respiratory issues, and even stopped breathing for a time yesterday. The doctors are trying to determine if he is just really sick or if it’s disease progression. This afternoon I held Grayson on my lap and we talked about and prayed for Jagger. Sometimes the reality of how awful this disease is just becomes all too clear. We are going to attempt to take the kids to the beach this weekend. To be honest, I’m nervous. Grayson has heat intolerance and general I-don’t-like-change intolerance (ha!) but we were given a condo stay as part of the Beads of Courage event, so we want to take advantage of it. I hope Charlotte absolutely loves it- she is so cute and funny right now that I have a feeling watching her discover the beach will be worth any hassles of the trip. That’s all I have for today- hope you all are doing well! 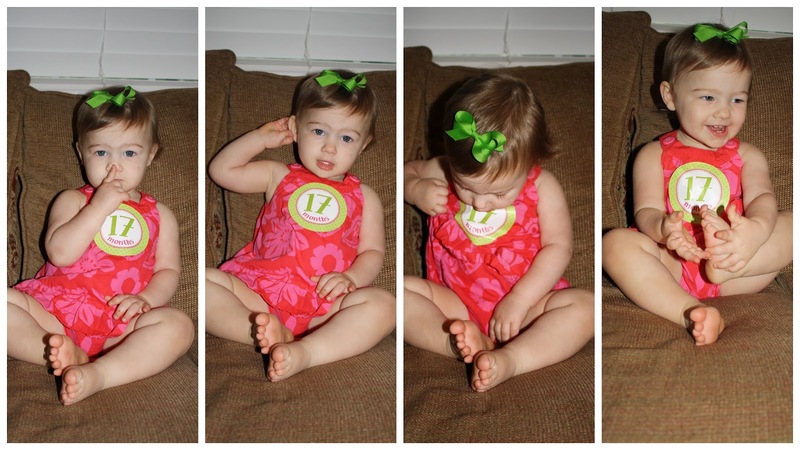 Another month has passed, and I can’t believe you are nearly a year and a half old! I am absolutely loving the stage you are in right now, and am trying to soak up the tiny pieces that are left of your babyhood as well as your new, larger than life toddler antics and personality. Personality- you’ve certainly got one! You are loud, opinionated, and stubborn. When we ask you to do something that you have no interest in doing you simply look us in the eye, shake your head, and very calmly say “no”. The other day at about 7 am you grabbed a box of crackers from the cabinet (you LOVE crackers) and brought them to me. I said no, we aren’t having crackers for breakfast. Immediately, you took the box into the living room to ask your Daddy to open them for you. Little stinker. You need to learn now- Daddy and I are a united front: no crackers for breakfast! You are loving summertime. We took you to the splash pad at the zoo last week and you took off without so much as a glance back in my direction, and had a blast running through the water and splashing in the fountains. Our friend gave us a water table this week, and you have had a lot of fun playing with that too. You also adore having your Daddy home for the summer, and you two have been singing, reading books, and playing instruments. You sure are a lucky girl. 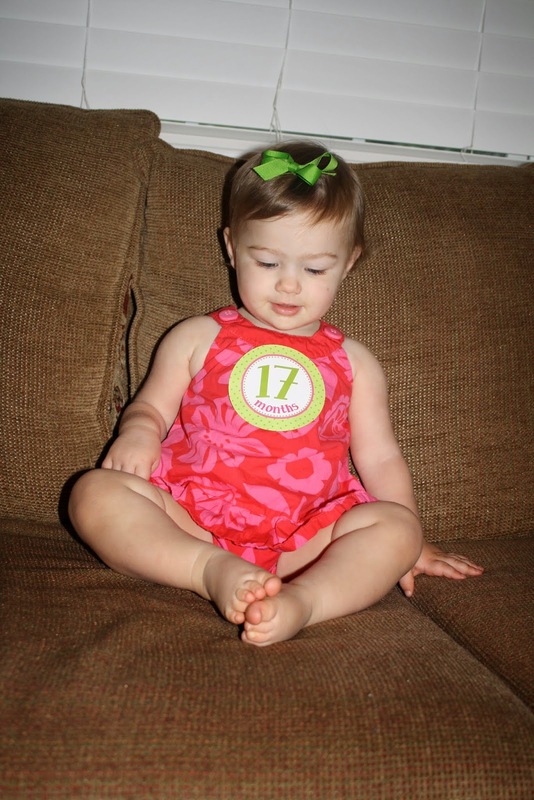 At 17 months, You weigh 23 pounds, 14 ounces and are in size 18-24 month clothes and size 4 diapers. You STILL only have 4 teeth (???) but have no problem chewing any food we offer you. You are still talking up a storm and are currently very interested in body parts, and want to point out every one’s noses, ears and eyes on a regular basis. This week, I showed you where your belly button is, and you think it’s so funny to point to it, but get confused when you can’t find it when you are wearing an outfit that doesn’t lift up and show your tummy- ha ha! 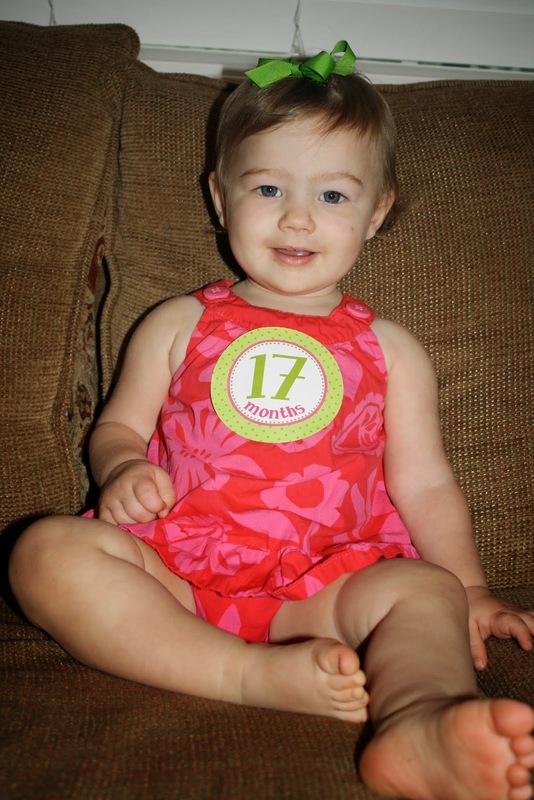 You are a sweet, loving, empathetic little sister to Grayson, and you still love to give him hugs and kisses. One habit that isn’t so endearing is how you react to his retching and throwing up. Whenever he starts that, you start coughing with him, making yourself gag until you almost throw up. Then you will go get yourself a throw-up blanket to wipe your mouth. Good grief, child. Charlotte, I can’t imagine life without you, my hilarious little sidekick. I love you so much- Happy 17 months! Today just sucked. Truly sucked. Grayson’s tube got pulled at school yesterday (totally accidentally- these things happen) and even though I was able to push it back into his stoma enough so that it was functioning properly, I knew we needed to take him to the ER to get it checked out, and more than likely replaced. I knew that if we took him in last night and he needed a replacement, they would just admit us and make us wait until today to do anything. So I decided to tape the button to his belly and let Grayson sleep in his own bed without beeping monitors and annoying nurses bothering him all night and just bring him in early this morning. Shortly after we got to the ER, I posted this very optimistic picture, claiming us to be in good spirits, despite being at the hospital. Eight hours, no food for either of us, three needle sticks (including a failed IV) and two tube change attempts later, the selfie Grayson and I didn’t take would have looked exactly the opposite. I begged the ER doctor and GI doctor to replace the tube without anesthesia. Grayson just had a tube change/anesthesia in March and I am really uncomfortable with the amount of times and frequency this kid has been put to sleep. Also, Ryan and I are going out of town tomorrow, and the rumor was they wouldn’t be able to do the change until tomorrow. They finally consented, and did the procedure right there in the ER. I held Grayson’s little arms as he screamed and fought against me and watched with both horror and awe as they threaded a wire and tube into his abdomen. Within minutes, it was done- great! Now all we needed to do was go down to radiology to confirm placement and then we could go home! The placement was not correct. The tube was in his stomach, not his intestines where it should have been. Since we were already in radiology, they decided to try again, but this time looking at a picture of his insides as they did it (yeah, I could have told them that was probably what they should have done to begin with). But again, they couldn’t get it. The radiologist was wiggling, tugging and pushing that tube all around Grayson’s insides while he screamed. Horrific. Finally, they got a guide wire and said this was the last effort they were going to make. If it didn’t work, we’d be staying for surgery tomorrow. Grayson was now asleep on the table, worn out from screaming. By the grace of God, it worked. We were discharged about 30 minutes later, and we hung out outside while we waited for my mom to pick us up (ever hung outside a large ER? EPIC people watching! )Grayson is now sleeping soundly with his brand new tube. Much of today I spent feeling sorry for myself- I was tired, hungry, freezing cold, and bored. But my lack of comfort was nothing compared to what Grayson went through and goes through over, and over and over. He anticipates needle sticks- he knows what’s coming. This makes me so, so sad. Even though he isn’t sick right now, he spent all day in the hospital, and went through so much pain, just so he can be fed. His life is just.not.fair. He continues to teach me though. Grayson can have the worst day ever, and yet still finds joy in his music, his people, and in returning home. And despite the circumstances, we got a day to spend together, just us, snuggling, singing, and a little bit of crying. Love this boy to bits. 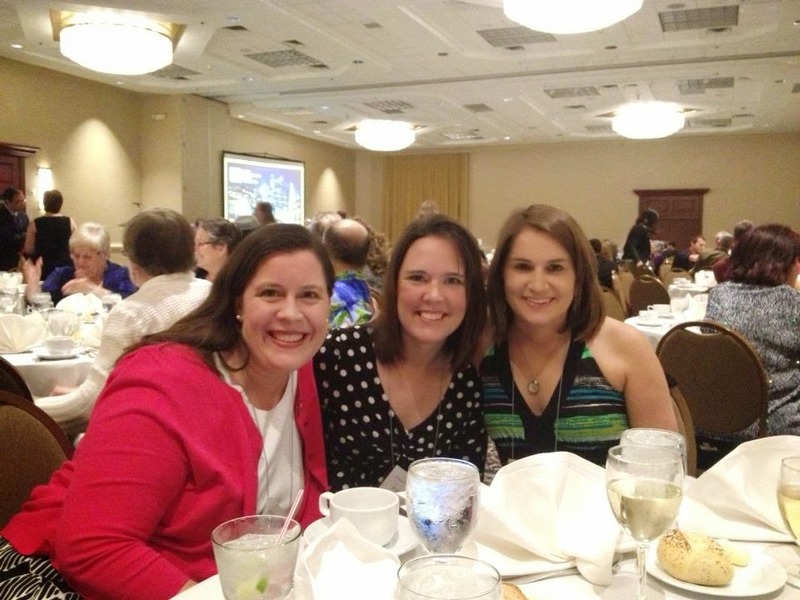 This past weekend, I had the opportunity to attend the United Mitochondrial Disease Foundation Symposium in Pittsburgh. Since Grayson was diagnosed, I have wanted to attend Symposium, and I am so thankful that the stars aligned and I was able to go. One of the major reasons I especially wanted to go this year was one of my closest Mito Mom friends moved from Houston to Pittsburgh a year ago, and I just couldn’t miss the opportunity to spend a few days with her. I’m so thankful for K-she is probably the smartest and most compassionate person I know, and she has been one of the most influential people in my life since we started this journey. It was a great weekend. I was able to make connections with people I had only previously “known” on Facebook, meet new friends whom I felt instantly connected to because of this strange world we live in, and soak up lots of information that hopefully I can use to help Grayson. I attended as many sessions as I could, and while some of the scientific research information was over my head (those researchers and doctors literally speak a different language! ), I really do feel like I have a better understanding of Grayson’s disease and the direction the research to treat/cure Mito is heading. I learned about medical child abuse (and how to protect myself from any accusations)straight from the mouth of Justina Pelletier’s doctor, learned about research being done on autism and mitochondrial disease, and was reassured in the respiratory issues session that we are doing everything “right” with Grayson right now. There was a lot of talk about clinical trials and Epi-743- I am still hopeful that Grayson will have access to this life-changing drug sooner than later. It’s still extremely frustrating that he is not on the drug RIGHT NOW, since it has certainly been life-changing for many with his disease. I had several really good conversations with doctors, including Grayson’s Mito specialist. We came up with some new ideas of medications and supplements to try, and I was thrilled when I got an email this afternoon from her nurse saying that she was already calling in the new prescriptions. I am so, so hopeful that we will see some positive changes in our little guy in the coming weeks! It was a wonderful weekend and I am so, so glad I had the experience. And everything went great at home while I was gone- hooray! I’m already plotting how to get to Washington DC for next year’s symposium! This weekend, I attended two social events where I didn’t know the majority of the people who were there. One was a Bunco night fundraiser for a friend’s son’s baseball team and one was actually an essential oils class that I was teaching. At both events, there was a large amount of time to chat socially, and I participated in several great conversations and met some fun people. As most do, the conversations turned to children. How many do you have? What are their ages? Etc, etc. Lately I’ve found when I mention that I have a 3 1/2 year old son, the topics that come up most frequently are how busy I must be chasing after him, that he must be talking up a storm and questioning everything, and oh, how’s potty training going? No, no, and umm…never going to happen. I find it awkward responding to these statements and questions. I never take offense to any of it- it does make me sad and wistful for what would have been without G’s disease- but I appreciate people taking an interest in both of my children. I just don’t really know how to respond. Right now, I tend to say, “he has special needs and isn’t developmentally where most children are at his age” or some variant of that, and then if they ask, I will tell them more. And I do want them to ask. Because I do want to talk about Grayson. He’s my son, and his life is my life. He’s a person with a story. Yes, Grayson is most definitely a person apart from his disease and disabilities. Of course he is. He has a personality and a soul. But it’s very difficult (impossible?) to separate Grayson the Person with Grayson the Person With Leigh Syndrome. Leigh Syndrome makes him who he is. 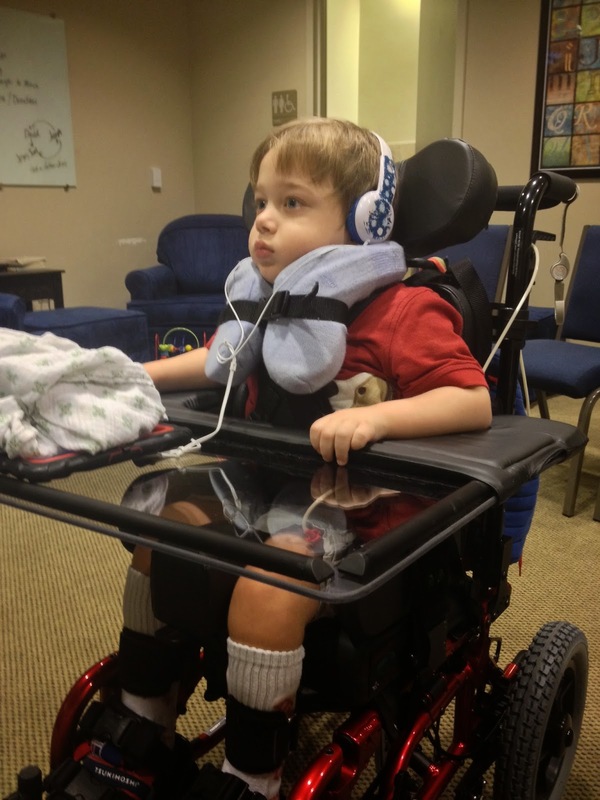 When we describe Grayson, apart from his medical symptoms, we say he loves music and loves to swing. But here’s the thing- he loves music and swinging because there isn’t much else that he can love. And whatever is going on in his brain only allows him to love certain music, 95% of which is Veggie Tales. Sure, toddlers and preschoolers all go through phases where they want the same thing over and over, but Grayson has been obsessed with Veggie Tales for over 2 1/2 years. That’s the disease. And he loves to swing because it’s an activity that allows him to experience movement even though his body can’t move in any real, purposeful way. That’s the disease. 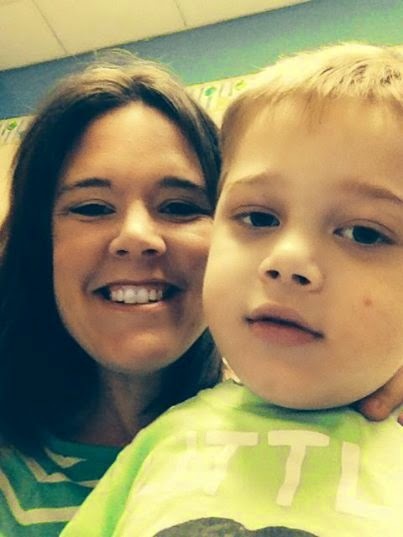 So when I talk about Grayson, I have to talk about his disease. Otherwise, it’s like he doesn’t exist. And that probably makes some people uncomfortable. 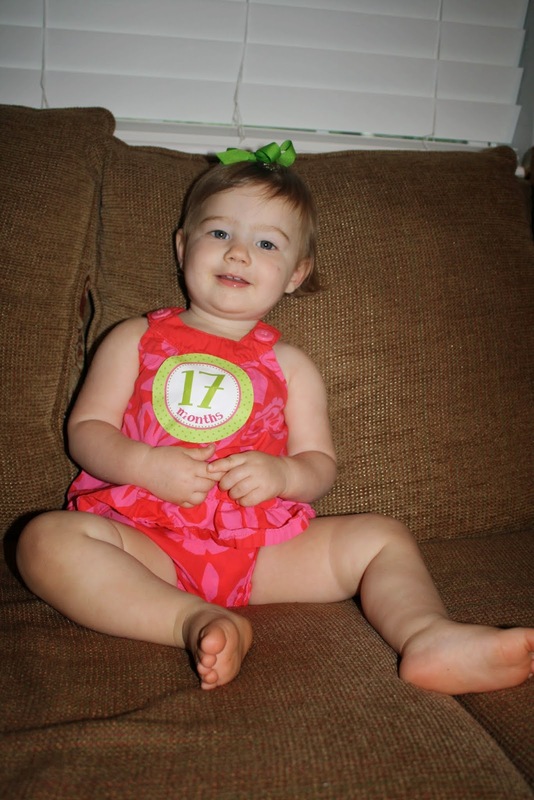 Feeding tubes, wheelchairs, a terminal diagnosis, not having a wait at the ER (lucky us? )- all normal around here. So when I talk about these things- I’m just talking about my life. I’m not looking for sympathy, pity, or to be told how amazing I am. I don’t want to hide my son’s existence, or say he’s doing great when he’s not, but at the same time I don’t want to be a person who makes others feel uncomfortable, or put in a position where they just don’t know what to say. I don’t even know what to say half the time. I don’t know what the answer is, but I hope that as time goes on, I’m able to find a balance in conversation between honoring my son’s life and his personhood with caring for the feelings and comfort of strangers who have no idea what we are going through. And actually, my bloggy friend J, whose daughters have autism, wrote this post with her perspective on talking to strangers about her situation- I think she has some really good advice and guidelines to follow. Special needs parents are not professionals- I didn’t train for years for this job before I started raising this precious little person. Just like moms of typical children, I am figuring things out as I go, without an instruction manual. And this includes how to talk to other people about my kid. Just know that I want to talk about my kid as much as you want to talk about yours. I look at him and sometimes can hardly believe how lucky I am that I am the one who gets to be his mom. No one else on earth has that job. It’s hard, yes. I wish it were different, yes. But it’s still an incredible honor. First time in his wheelchair, at church yesterday. He was SO serious.